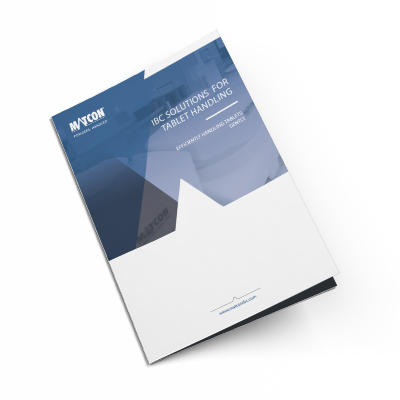 Gently handle tablets in bulk using polyethylene Tablet IBCs. The Matcon Tablet Handling IBC system gives you the ability to handle tablets in bulk without concerns of breakage or damage. A single IBC can replace numerous drums or containers, which reduces the amount of manual labour needed to move tablets around between processes.